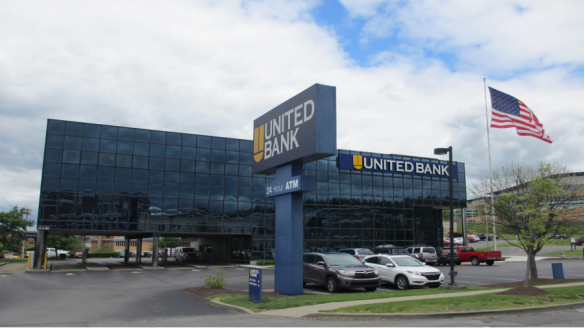 For sale to qualified investors is the 100% fee-simple interest in a rare and exciting opportunity to own the United Bank building bordering West Virginia University campus. According to the Federal Deposit Insurance Corporation (FDIC), this United Bank location has annual deposits over $405 million, resulting in the largest branch office in Morgantown and Monongalia County. This size of deposits is over 11 times the national average deposits for a bank branch. The property is a triple-net, single-tenant, Class A office building located within walking distance of West Virginia University, WVU Medicine and the Ruby Memorial Hospital. The all-glass building is equipped with a 24 hour ATM, 5-lane drive thru, and 3 floors of office and customer banking relations. Notable office tenants surrounding the property include West Virginia University, Monongalia County Health Department, WVU Medicine, WVU College of Law, Mylan Pharmaceuticals, Wells Fargo Mortgage, National Energy Technology Lab, U.S. Social Security Administration, Center For Disease Control, and many others. This is a generational-quality asset not often seen for sale on the open market bordered by one of the largest public universities in the United States, and as such provides the investor with an incredible buying opportunity.